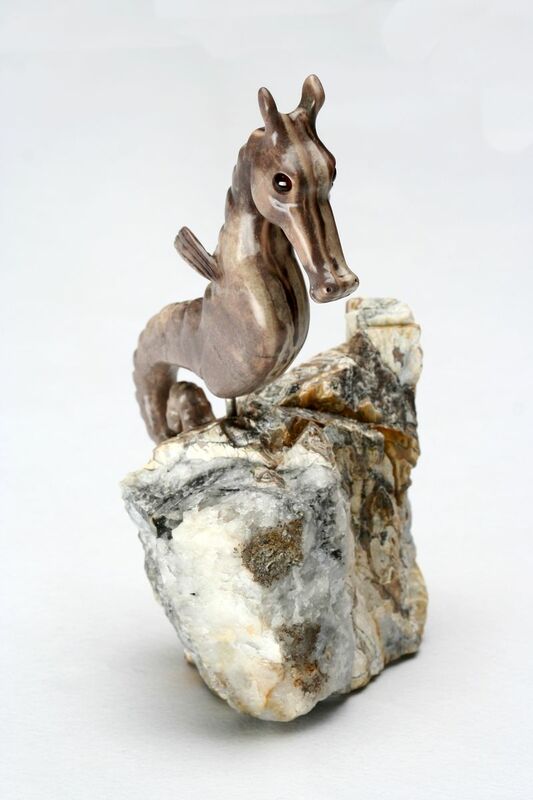 This seahorse was carved from Ruby Lake Marble (the quarry is located about an hours drive East of my home in Thunder Bay). It is mounted on an Agate specimen, also from the Thunder Bay area. The eyes are garnet, the birth stone for January. It has been sold to a private collection.